Take a step back in time to the 1880s! Expanded instructions and contemporary thread make this a great project for today’s knitters. This pattern originally appeared in Lydia Scott’s June 5, 1884, newspaper column. Scott wrote and edited a weekly household column, “The Fireside,” from 1881 to 1884 for The Daily Union, a newspaper in Manchester, New Hampshire. In addition to instructions for various projects and recipes, the column offered information and advice on health, fashion, and housekeeping. For more on Lydia Scott, see “Lydia Scott and Her Household Column” in the March/April 2006 issue of PieceWork magazine. 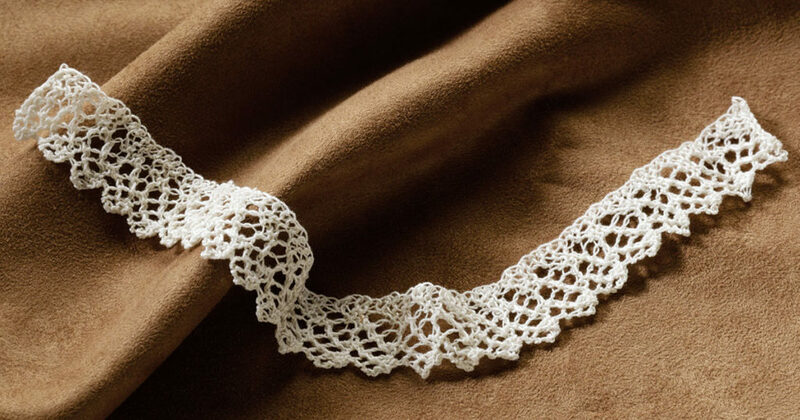 Lace edging adapted from a pattern in Lydia Scott’s column in the June 5, 1884, edition of the Manchester, New Hampshire, newspaper, The Daily Union. Edging. Cast on 7 stitches, knit across plain. First row—Slip 1, knit 1, thread over, narrow, thread over, narrow, thread over, knit 1. Third row—Slip 1, knit 2, thread over, narrow, over, narrow, over, knit 1. Fifth row—Slip 1, knit 3, over, narrow, over, narrow, over, knit 1. Seventh row—Slip 1, knit rest plain. Eighth row—Narrow twice, slip 1, stitch over the other, knit rest plain. The edging will be perfect on bed linens. 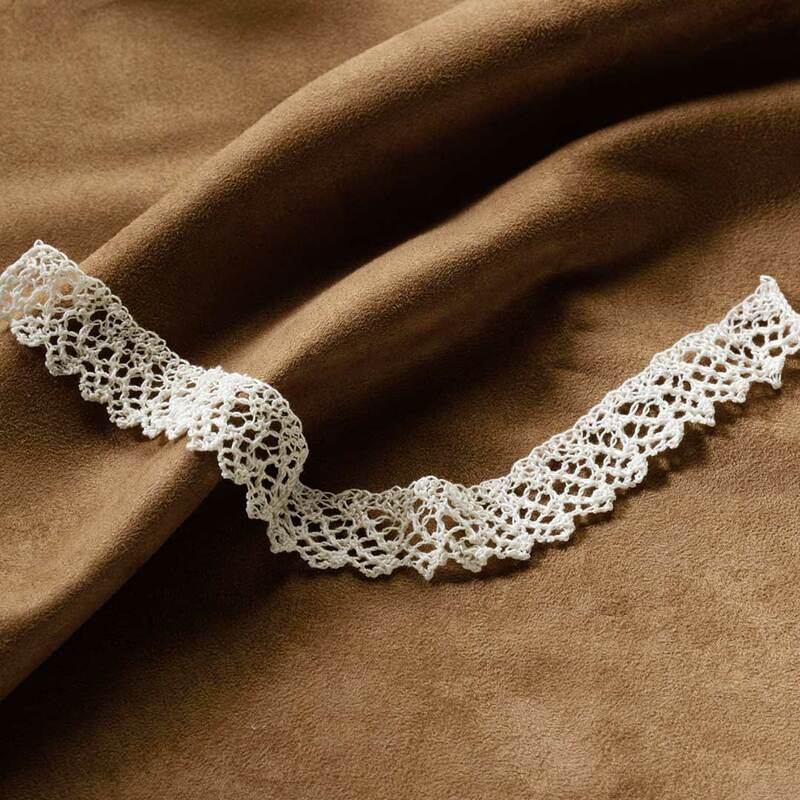 And don’t worry about deciphering the Victorian-era knitting terms, although if you’d like to try, read our blog post “5 Tips for Reading Victorian Knitting Patterns.” We’ve updated this lace-edging pattern, chose 100% cotton thread (affiliate link), and expanded the instructions. The only materials you’ll need are one ball of white, size 10, 100% cotton crochet thread; two double pointed size 00 (1.75 mm) knitting needles (affiliate link), or size needed to obtain gauge; and stainless steel pins for blocking. Download this web-exclusive project today! Find more great lace projects in PieceWork!